For the last couple of years, NOSSA has been conducting spring tours at the Mt Lofty Botanic Gardens, South Australia, showcasing our beautiful native orchids to visitors far and wide. They have come from not only Adelaide but from interstate as well as overseas from such countries as America, Germany, England and many others. If you are planning to be in Adelaide during spring, then consider joining one of our walks, but for those who cannot attend here is a video for you. So watch and enjoy ……. 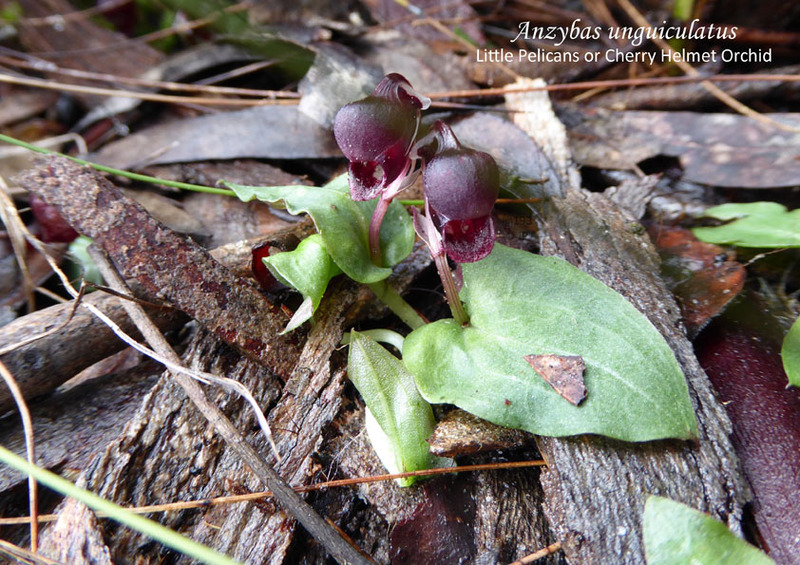 The title of this article refers of course to mallee midge orchids of the genus Corunastylis which have been poorly understood. Summer and autumn 2011 saw good rains across the Murray Mallee from Pinnaroo to Renmark and thus NOSSA members took the opportunity to study mallee midge orchids in flower in March and April. The results are summarised here. To match species to habitat. To assess the distribution and population of each species. To take images of all species. Midges were found all the way up to Chowilla sand hills, which are just north of the River Murray. Almost every patch of mallee eucalypts seemed to have some Corunastylis species but an understanding of their ecology was needed to find the flowers. Degraded or weedy mallee did not have any midge orchids, nor was hard clay, loose white sand, bare trampled soil or dense ground cover worth searching as midges are very small plants and easily crushed, covered up or sand blasted. Flowering plants were found mostly in the leaf litter under mature mallee, often with associated patches of native pine or circles of Triodia sp. (porcupine grass). Areas with extra water run off and disturbed soil along road corridors seemed to have produced localised population explosions. A 4WD vehicle proved handy for reaching remote corners of larger parks like Billiat Conservation Park near Alawoona. The most common species was the red and green flowered mallee midge Corunastylis tepperi while the similar but purplish Corunastylis sp. Intermediate came in second. Next came the black midge orchid C. nigricans which seemed to have finished in early March and were found mostly in capsule. Species of the Corunastylis rufa complex were mostly found in the southern fringes of the mallee. Their classification is ambiguous seeing Australian orchid expert D.L. Jones says Corunastylis rufa is confined to NSW. The un-named species of the complex seen included Corunastylis sp. Dark midge and Corunastylis sp. Narrow segments. In any case, no fringed labellum species of any kind were observed, so all mallee midges belong to the C. nigricans and C. rufa complexes. Tiny fruit flies of several species were seen working the flowers but we could not tell if each midge orchid attracted a different fly as the flies are too small to compare! I suspected that specificity of pollinators is low as apparent hybrid midge orchids were noted. If the flowers are bright green and the labellum is rounded, deep purple or maroon then it will be C. tepperi, also known as C. fuscoviride. The latter is a better name as it means bright dark and green. C. tepperi has a narrow spike of many tiny flowers. The finished flowers and capsules will take on a yellowish look. If the labellum is rounded and the flowers are mottled brown to wholly purple-brown, except for white or white striped petals, the species is C. sp. Intermediate. DNA studies may be required to check the species limits of the many taxa found. It is doubtful that such a good display will be found next autumn! Many thanks to NOSSA members who sent me images of mallee midges recently, especially June Niejalke. 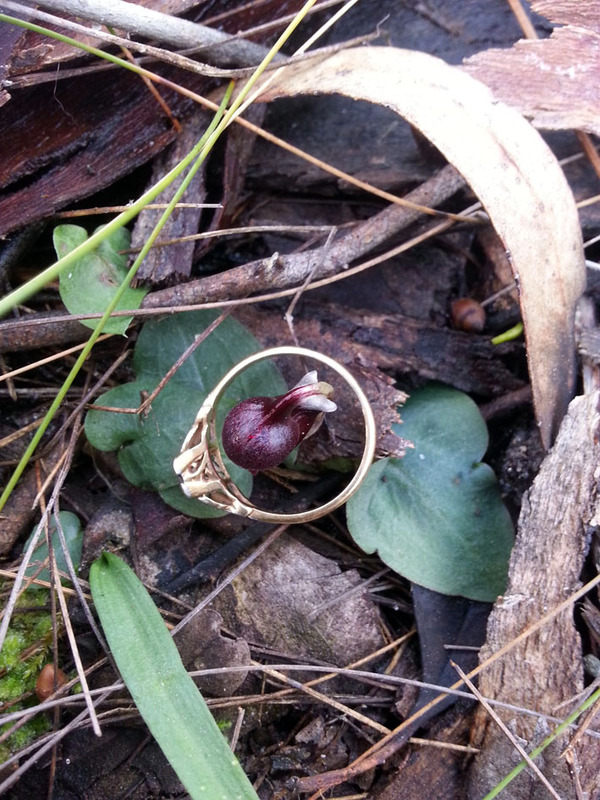 Until 2009 when NOSSA did an orchid study of Wirrabara Forest Reserve the parsons bands or Eriochilus were thought to be rare in the Flinders Ranges, but that year Eriochilus were found all the way north to Mount Remarkable and were often seen as locally common. In 2010 I did two visits, one in April and one in May to see how well they flowered after a wet spring the previous year. Results: all colonies at Wirrabara flowered spectacularly in April 2010 but at Mt Remarkable flowering was poor. No leaves were visible at the time. The flowers were white with some strong colour and stems were quite bristly, see image. At Wirrabara plants were sturdy with up to four flowers per scape yet at Mt Remarkable plants were spindly and flowers mostly single. It was thought that the reason for this difference lay in the wet spring of 2009 at Wirrabara with much less rain at Mt Remarkable. The second visit in May showed a different picture. Very little rain had fallen at Wirrabara in autumn and the stems of all plants had hardly elongated. Yet seed capsules were plentiful. In contrast, Melrose near Mt Remarkable had received good autumn rain and stems there had doubled in length. So it seems that the number of flowers and strength of plants depends on rain the previous season whilst height of stems depend on rain during the current flowering season. Curiously, in both areas a second flush of flowering occurred in May with the second flush at Wirrabara producing tiny flowers on short spindly stems (see image) while those at Mt Remarkable had larger flowers on tall stems. Flowers seen in both areas were similar in appearance and both had leaves which were large, apiculate, dark green, ribbed and hairy above, purple below. Both the April flowered and May flowered plants belonged to the same taxon and clearly flower size and number, and scape length, are not useful in separating species as they are so variable. On the other hand leaf shape, texture, ribbing and colour below are important in identifying the species as these are constant features. Conclusions: only one species of Eriochilus occurs in the Flinders Ranges and this is the same as the common woodland species in the Mt Lofty Ranges. This species has never been named officially but is generally known as Eriochilus sp Hills woodland and is best identified by it’s leaf … see image. This is the most common of three or four Eriochilus species in SA.